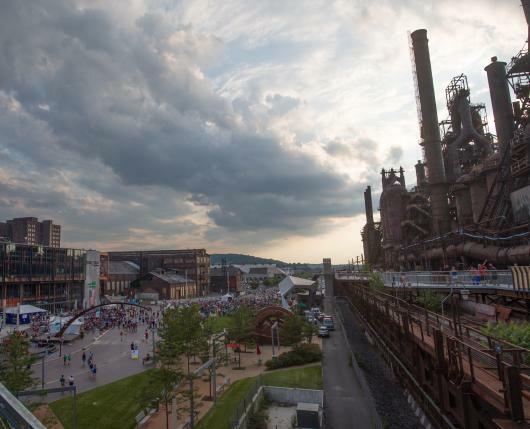 Explore the former site of Bethlehem Steel and discover its history. 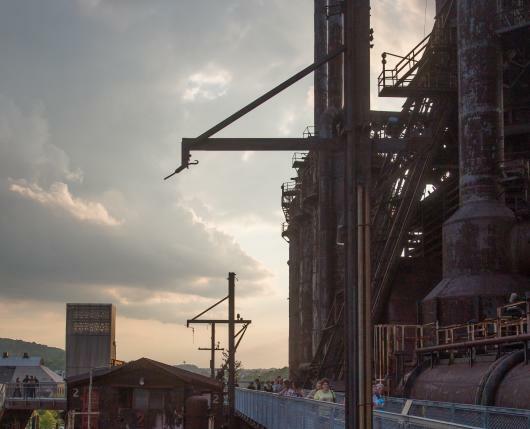 Completed in 1907, the Hoover-Mason Trestle in Lehigh Valley connected the ore yards, once located near where Sands Bethlehem stands, to the blast furnaces at the heart of the plant. For almost a century, cars ran along it daily, delivering the ingredients for making iron. Today, it has been reimagined as an elevated park and pedestrian walkway. It is here that you will stand almost within arm’s reach of the blast furnaces that were once used to make the iron that helped create the Golden Gate Bridge and the Empire State Building among several other iconic structures. Raised 46 feet above the ground, the $15.5 million trail runs 1,650 feet from near Bethlehem Landing Visitors Center toward Sands Bethlehem. 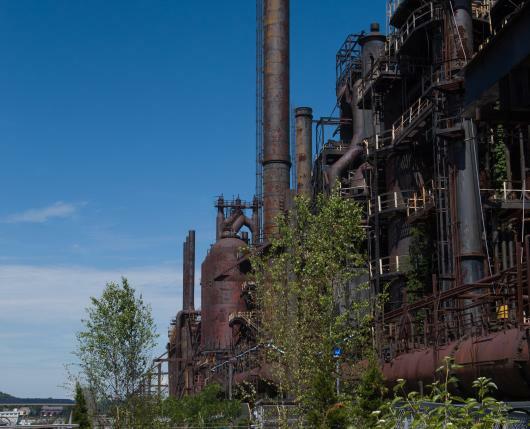 Described as the "narrative spine" of the plant, the trestle runs past the vacant industrial buildings that stand as monuments to what was once the nation's second-largest steelmaker. The walkway features benches, landscaping and a self-guided tour with plaques describing how steel was made and the significance of some of the large buildings still standing. 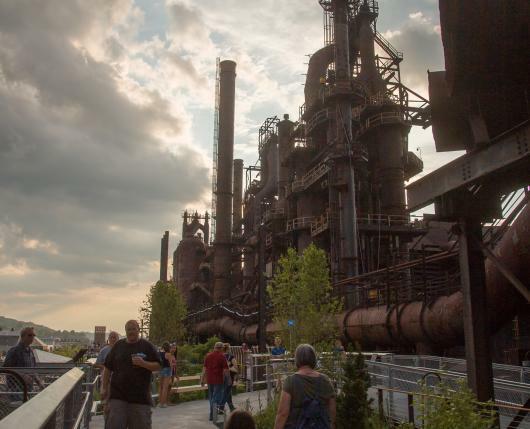 The trestle includes three staircases: one at the western end, another at the eastern end near the Gas Blowing Engine House and a third — dubbed "the grand staircase" — near the visitors center and restrooms at SteelStacks. The grand staircase includes an elevator. Bicycles, roller blades, skateboards and scooters are not permitted. Dogs, at least for now, are not allowed because of the fragility of the flowers and other plantings. 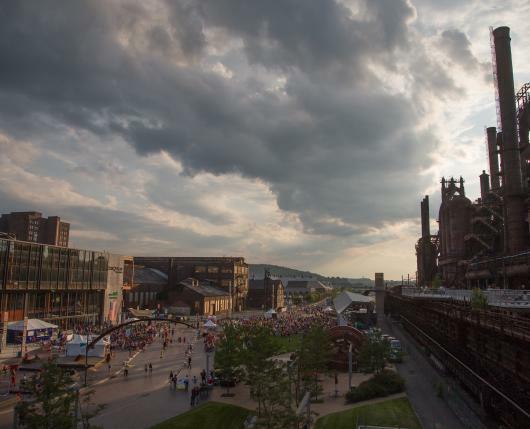 Device rentals telling the story of the blast furnaces and gear shifters are available at the Visitor Center at SteelStacks between 10 a.m. and 4 p.m. For the best experience, connect to the Bethlehem Wi-Fi hotspot. The Visitor Center at SteelStacks is located in the former Stock House for Bethlehem Steel. The Center features exhibits on the history of Bethlehem and Lehigh Valley. Staff is on hand to answer questions and direct visitors to area attractions and sites. 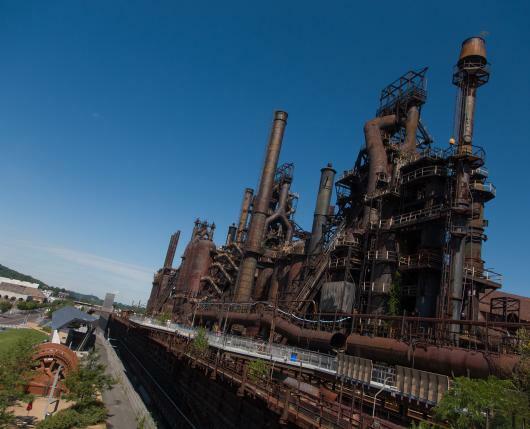 Click here to take a 360-digital tour of how the blast furnaces were used to make steel and this important walkway brought to life.